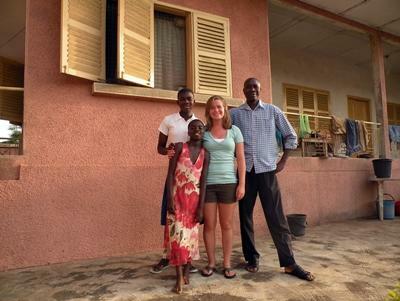 This is an important part of the service Projects Abroad offers you. Your safety and security is our prime concern - so we have many procedures and systems to ensure you have the support you need to enjoy your placement with peace of mind. Security: We take your security abroad very seriously. We only send volunteers to places that are safe and politically stable. If they are not, we don't go. We are constantly in contact with the British Foreign & Commonwealth Office (as well as officials in the US, Canada, and Australia and other countries), regarding safety and stability. Of course, we have the added security of our own overseas staff who know the local area in detail. 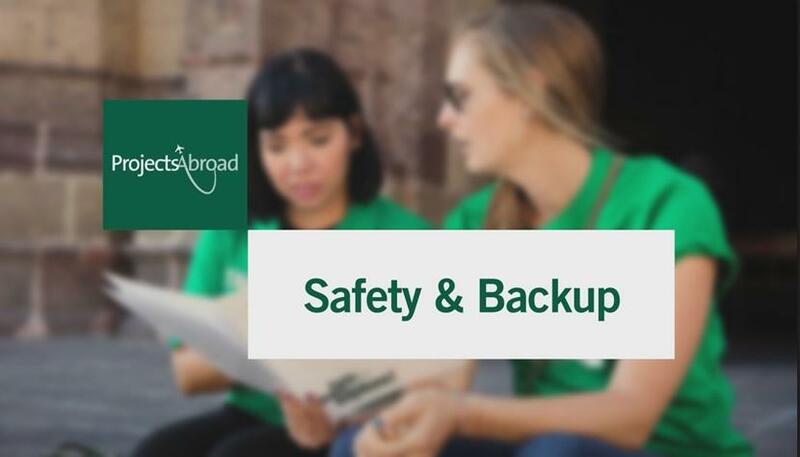 Pre-Departure Advice: Once you've been accepted on to our projects you'll receive a personalized website called MyProjectsAbroad, which includes information about insurance, applying for a visa, packing lists, and cultural advice about the country you are visiting. Our highly experienced Country Volunteer Advisor will contact you once you have applied and are always available to give advice and answer any questions you may have - both before you go and while you are away. Placement Details: Before you go you will be allocated your placement details. These include addresses and numbers for your host family, and details regarding your placement and supervisor. Overseas Staff and Offices: We believe our in-country support to be unparalleled. Every single one of the countries we work in has at least one Projects Abroad Office, and paid members of staff. Each country has a Country Director and various other members of staff. They are trained in the United Kingdom and in country to follow best practice procedures, including monitoring, security, and emergency procedures. The office acts as a point of contact with our staff and a general meeting point for volunteers. Our permanent overseas staff organizes the details of our placements and accommodation according to strict criteria and high standards. They are there to assist with any concerns, problems, advice and general administration that may arise during your time away. They are also your point of contact with the North American offices. They are available during the day at the office and directly contactable 24 hours a day by phone. Contact Between Staff and Volunteers: Our overseas staff regularly visit host-families, volunteers and placements to ensure everything is running smoothly. We maintain a cycle of monitoring all volunteer accommodation and placements. On arrival, our staff will make a final check that your accommodation and arrangements for your placement are acceptable. Again, during the first week we shall be in contact to ensure all is satisfactory. After the first week, volunteers vary in the amount of contact that they need with local staff; however we actively check on the status of every volunteer weekly - through direct contact or through the host family. 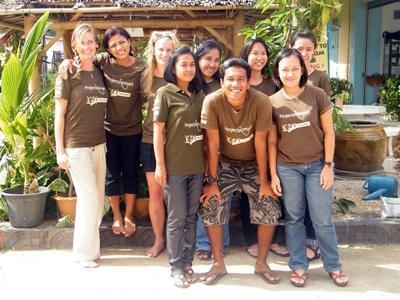 Accommodation: All accommodation is checked regularly by our overseas staff. Accommodation is only accepted if it is clean, hygienic and comfortable. At least one member of the family will be able to speak basic English, and the family will understand Projects Abroad's aims. They must also be interested in having an English speaker to stay. Detailed records are kept of every host family, and these are updated after inspection visits. Checks are made before and during volunteers' stays. Placement: Our overseas and North American and UK staff work closely with our partner organizations to ensure they understand the nature and purpose of Projects Abroad. All our placements are regularly checked by our overseas staff and visited by North American and UK staff. Supervisors: Each volunteer, regardless of whether on a teaching, medical, conservation or other placement is allocated a supervisor. The supervisor is not only responsible for enabling volunteers to carry out their work, but also for ensuring that they are happy and assisting them at their placement with any problems or concerns. Meeting on arrival: We will meet you at the airport (or local place of arrival) unless you request otherwise. We use our own members of staff when possible, but in some cases we may use an approved transfer company to pick volunteers up from the airport. You will be met by someone carrying a Projects Abroad sign, who will welcome you with your full name. They will carry some form of identification that you can validate. It is also our responsibility to help you get back to the normal international point of departure at the end of your placement. We'll advise you on local customs and what to expect while you are away and help you feel confident in your new environment. Health and Insurance: All of our volunteers are covered by our comprehensive medical and travel insurance. This includes repatriation for certain cases. If a volunteer falls ill, our overseas staff we will be on hand to assist with hospital arrangements and insurance liaison, and will, of course, make sure that the patient is comfortable.